Sharp, dangerous, bitchy. 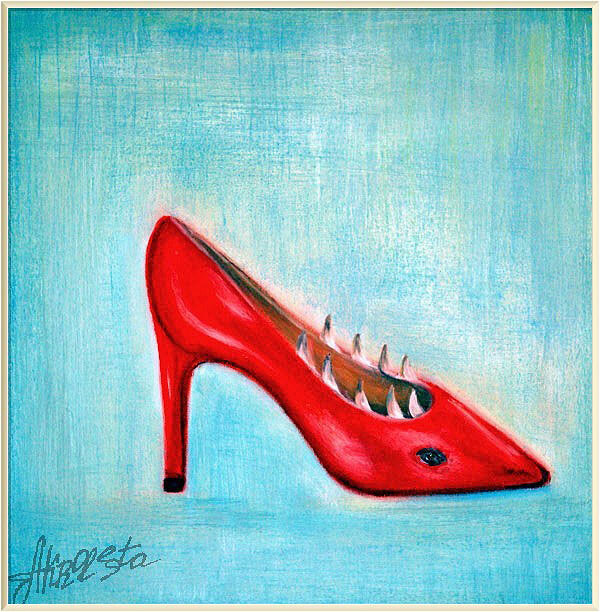 Wrapped in red high-heeled shoes, the woman demonstrates her sharp teeth and warns men. You have to be really strong and brave to contact such woman.